Although structurally similar, this work enlarges on the scope and content of 'Revelations of an Ideological Philosopher' (1997), as we are made aware of the extent to which Social Transcendentalism is both ideological and philosophical, that is to say, practical and theoretical,... read full description below. Although structurally similar, this work enlarges on the scope and content of 'Revelations of an Ideological Philosopher' (1997), as we are made aware of the extent to which Social Transcendentalism is both ideological and philosophical, that is to say, practical and theoretical, political and religious or, better, politico-religious, serving not merely as a vehicle for Truth, or metaphysical knowledge, but also - and no less significantly - as a potential catalyst for radical social change of the sort that could usher in a new age of religious enlightenment. John O'Loughlin is a Galway-born author who, like W.B. Yeats, was brought from Ireland to England as a young boy and grew up in Hampshire and Surrey, where he attended a variety of state schools. 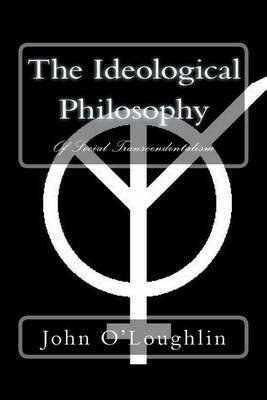 Most of his adult life has been spent in north London, to which he moved from Surrey in 1974, and all but a few of his books have been written there, the majority of which, like this one, are of an intensely philosophical not to say metaphysical and even ideological nature.